In this review I will outline my own personal experiences with the SunGod Pacebreakers. 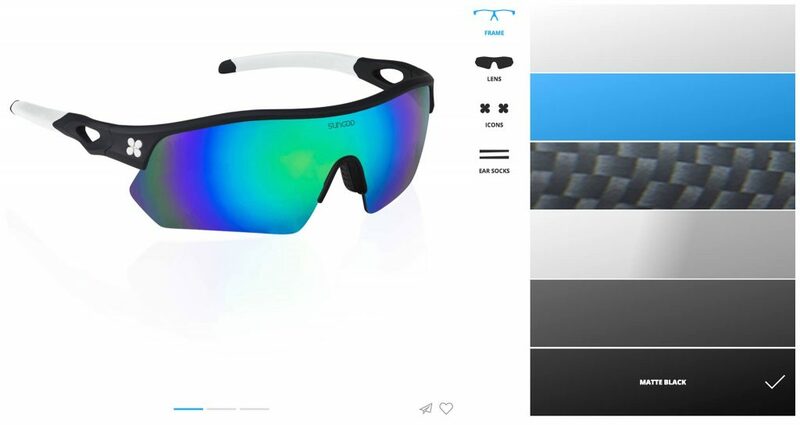 I will discuss the buying process – which includes custom design – and the fit and feel of these cycling glasses, focusing on the lens quality and the overall durability (if the lifetime guarantee doesn’t sell you enough). 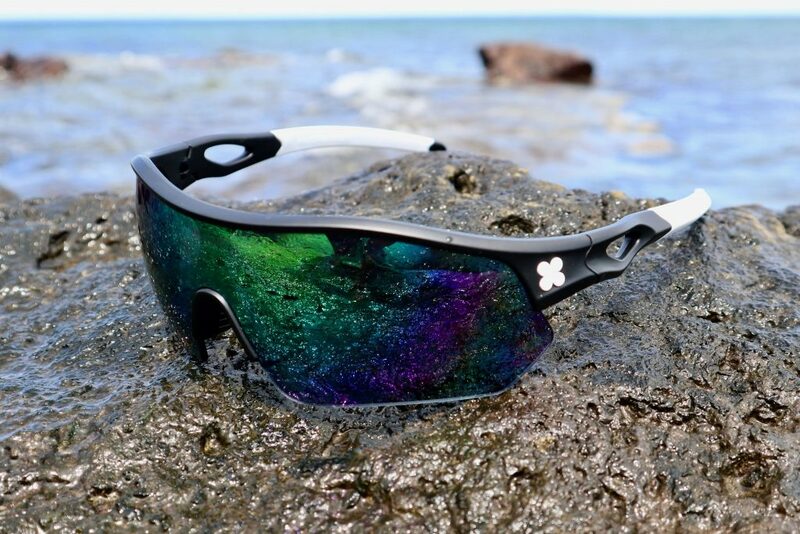 I will also blend in my personal use of the SunGod Pacebreakers glasses during some solid criterium races. But firstly, have you ever heard of SunGod? I hadn’t, until a few months ago when someone from their marketing team out of the UK reached out to me. They wanted to gauge my interest in testing out their reasonably new cycle specific sunglasses, the Pacebreakers. I soon found out that SunGod was a UK based company that originated roughly five years ago, thanks to a successful crowdfunding campaign. Their model seems simple yet effective. Direct to consumer, quality product at a low price, with a fast delivery turnaround. They say three days to ship to Australia on the SunGod website, although I received my shipment within two business days. I was surprised considering I had designed these glasses myself. I went for a green polarised lens with my custom build. I thought this would look a little meaner for the criteriums. Minus the smile of course. There’s no doubt about it, fashion has become an integral part of cycling. Kits, shoes, helmets, and sunglasses. Having a matching helmet, kit and shoes can be completely disrupted if the cycling glasses don’t align. I have seen this before. In fact, most days of the week I’ll witness this up and down Beach Rd, my local cycling route. I’m sure you’ve seen some interesting specimens also. If I was to lead my elevator pitch to someone about the Pacebreakers, it would be their custom design. You have 6 different frame colours to choose from, 6 different lens colours or 12 lens types (if you want polarised). Then there’s 7 different choices for the ear socks and the side Sungod logo colour. So multiple iterations are available. The selection process is clear and simple, enabling you to build your own custom cycling glasses. With all this choice, you may wonder if the selection process is difficult or confusing. It was actually a pleasure. So much so that I got a little stuck, trying different iterations and pondering how the different styles would match my black cycling kit. I landed on matte black frame, white ear socks, white SunGod logo, and a mean green polarised lens. Surely no one will see my eyes suffering towards the end of a windy Glenvale A grade criterium with these puppies on, I started to daydream. 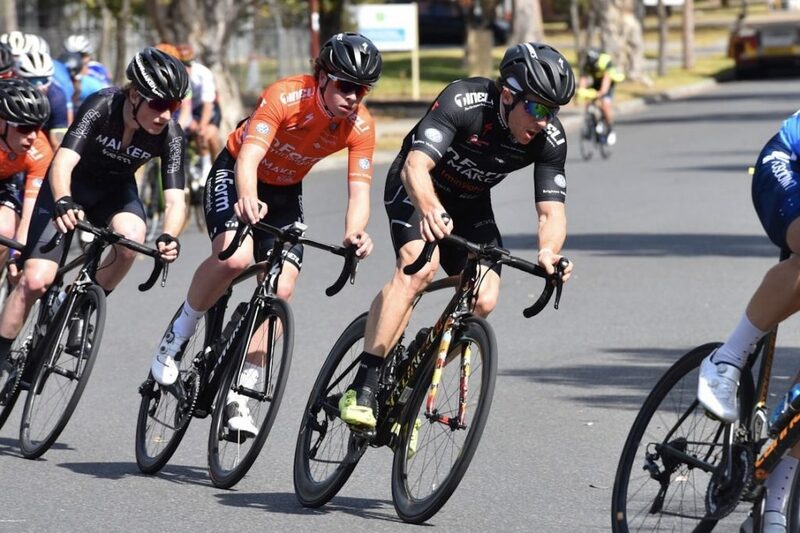 Wearing the SunGod’s in the local criteriums. Their fit and sweat resistant ear socks make them an ideal proposition when your sweating up a storm. Moments later I flick the browser over to my emails and forget about my purchase. Not knowing the swiftness of their claims (3-day delivery to Australia), I had in the back of my mind delivery would be in a week or so. Two days later and my glasses are in the postman’s hand at the front door. You have to love that type of speed. It really impresses and leaves a positive mark. Taking the glasses out of the packaging, my immediate thoughts were that they looked similar to the Oakley Radars. Although they definitely have more height, and of course, they have more of a personal and emotional feel as you’ve created the colour scheme yourself. SunGod claim these Pacebreakers are lightweight. Does that really matter for glasses? 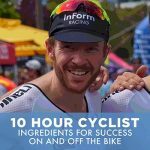 When I think of bike frames, groupsets, rims, and bike related equipment, weight certainly comes into play. But glasses, really? Anyway, I weighed the Pacebreakers and they are 30 grams exactly. They feel hard and strong, unlike my Bolle B-Rocks which feel soft and flexible. 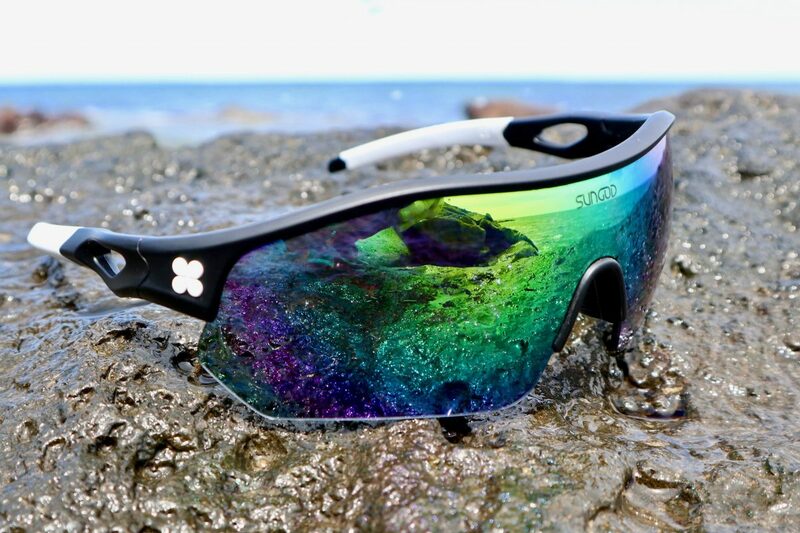 According to SunGod they use a trademarked frame which is durable, high-tensile and lightweight for ultimate impact protection and all day comfort. They’re a reasonably tight fit so you certainly feel it when putting the Pacebreakers on. Yet there’s no movement during your ride, so you quickly forgot that they’re on. If I made comparisons to the Bolle’s I’d say they feel a little less comfortable when you first put them on. Mainly because they hug the face a little tighter. It should be noted that I have a slightly larger head than most! However, I notice the Bolle’s more while riding. They’re a little bit softer, so I find myself pushing them back on my face from time to time. With the Pacebreakers, they stay put. After a while you forget they’re even there, which in my mind is ultimately what you’re looking to achieve with cycling eyewear comfort. The ear socks are manufactured from “hydrophilic material which becomes increasingly grippy with sweat, ensuring a non-slip fit without the uncomfortable pressure points”, according to SunGod. I’ve ridden these things in a windy Glenvale A grade criterium. My helmet straps were stained with salt destress post-race, so I feel I have thoroughly tested SunGod’s claims on the ear socks. And I won’t question it either. The lenses are triple scratch resistant, although I’m yet to test that one out. 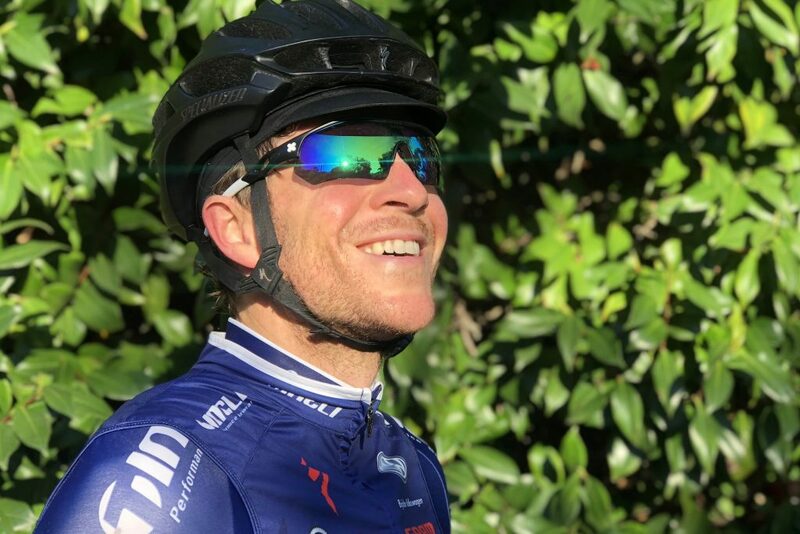 The clarity is like any other high-end cycling glasses and there is complete protection against ALL harmful UV light, which is to be expected when you’re spending a reasonable amount of cash. So really, I can’t fault the fit and feel. It’s an A grade set of sunglasses. It’s clear that SunGod have positioned themselves in the high-end bracket in terms of quality. When I wear these Pacebreakers and think of them – now that we’re familiar – I relate them to Oakley and Bolle cycling eyewear. Yet, they’ve done what many brands out there are seldomly able to achieve. High end quality, low end price. Looking at the Bolle B-Rocks, Oakley Radars and the alike online, you’re looking at closer to the $200 AUD mark. The Pacebreakers come in at $155. Shipping adds another $16 AUD unless you add another pair of glasses to your cart, taking the total spend to $200. Then shipping will be free. That is what I did, as I was also in need of some casual glasses for the upcoming summer. So I bought some Sierras and went through the same custom process, going for a matte navy-blue finish! It’s a high-quality set of sunglasses that you can build custom to your specific tastes. The price point is low, and the online experience is simple and efficient. 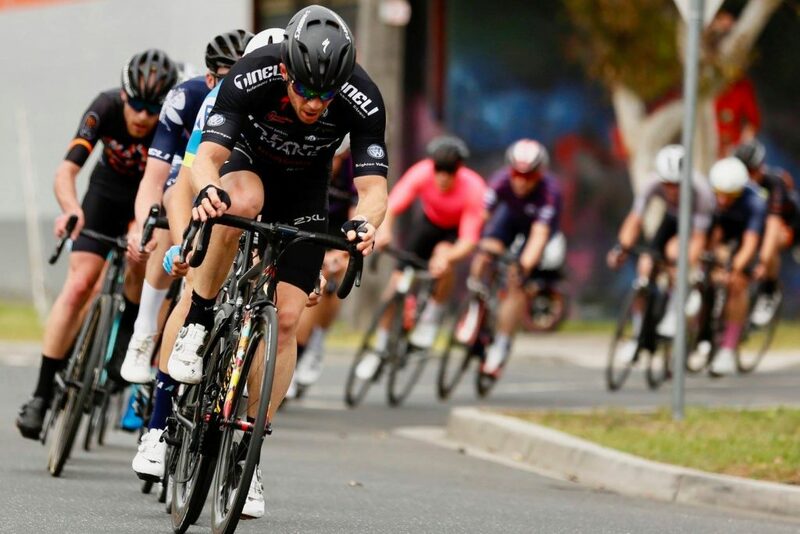 A little more crit action, this time sucking the wheel on a windy day at Glenvale. I was steaming hot, and thankfully no lens fog to speak of!